When it comes to making my nails appropriate for winter, I'd like to deviate away from all the usual glitters and opt for something a little bit edgier. Dark and metallic hues tend to be my favorite during this time of year but I still like to add a touch of sparkle here and there just to give it a more flair. 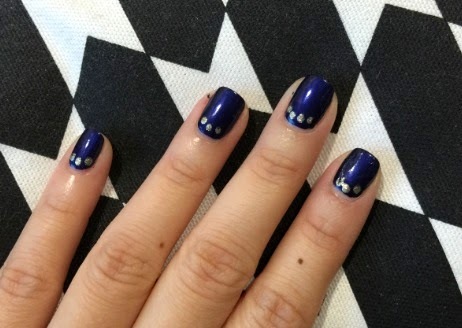 One of the easiest way to do that is by using a dotting tool with a gold or silver nail polish. There's a lot of creative ways to use it but I find that this placement is an easiest no fuzz way of winterizing your nails. 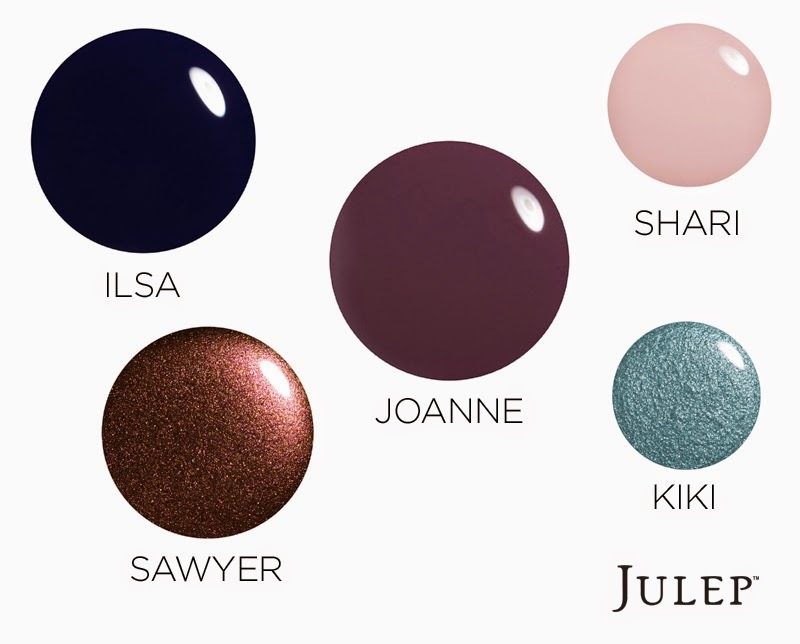 Recently I discovered that Julep came out with amazing winter nail polish shades. Whether you opt for creams, darks, sparkle or even just a plain pink, they have it in their collection and you might just find yourself wanting to collect them all.